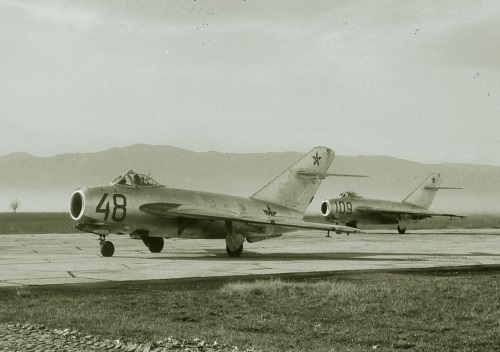 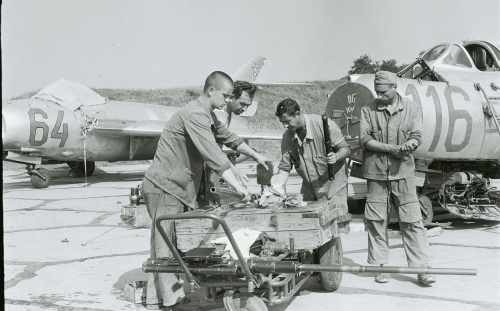 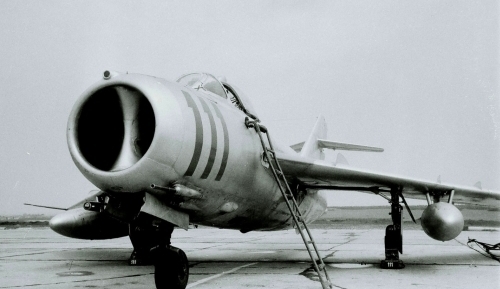 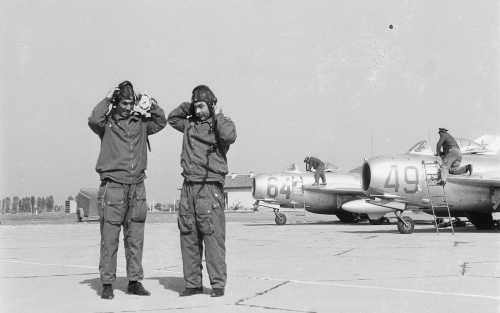 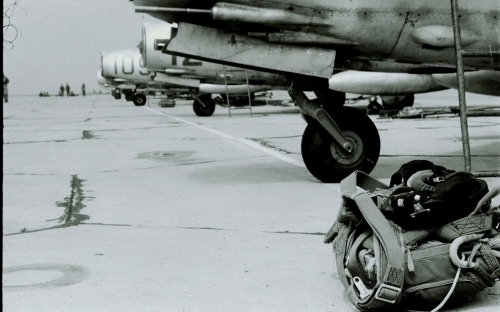 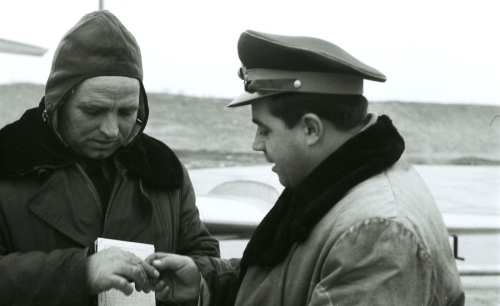 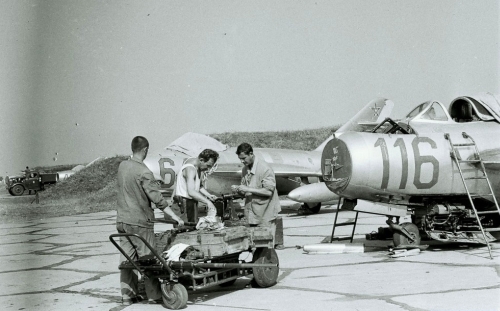 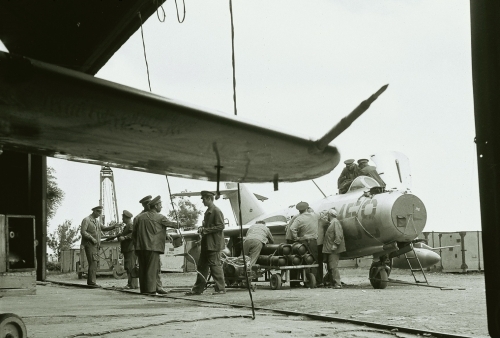 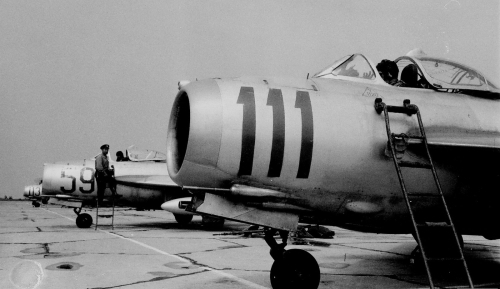 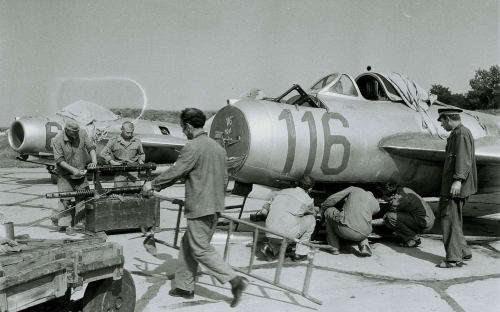 Between 1960 and 1970 the Soviet Union delivered nearly 110 pieces of MiG-17 jet to Bulgaria. 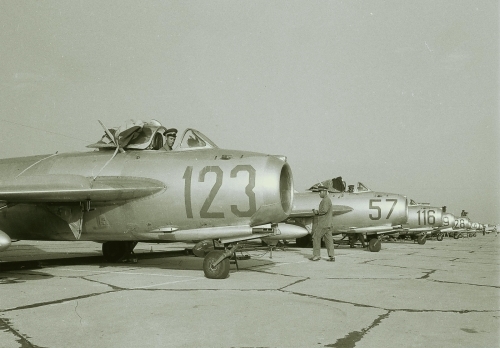 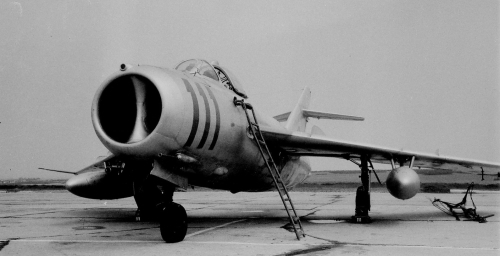 The MiG-15 type was replaced with used, previously Soviet machines in the 22nd and 25th Fighter Bomber Air Regiment. 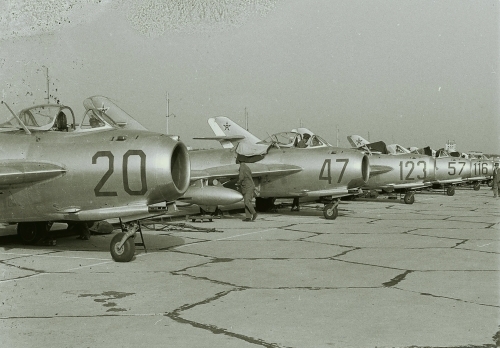 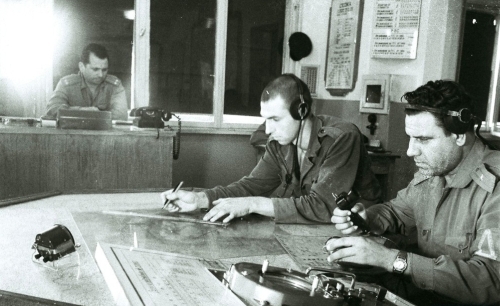 In the early seventies the 22nd Fighter Bomber Air Regiment's two squadrons at Bezmer was equipped with each with 18 MiG-17 Fresco-A. 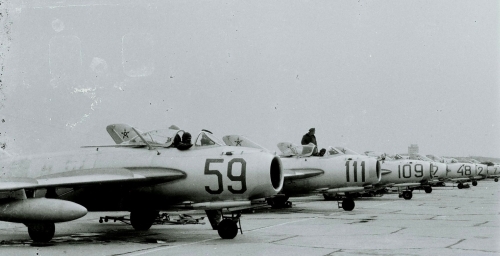 The left image shows the number "48" ex. 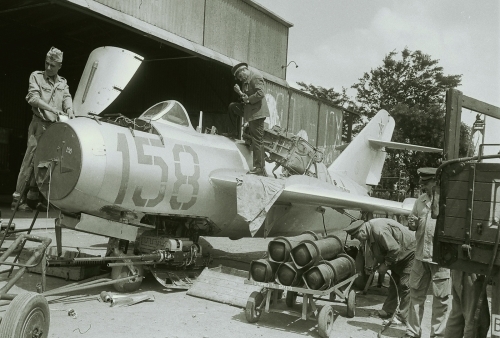 Soviet MiG-17 Fresco-A preparing for practicing bombing with FAB-50 bomb.